Living in a residential urban area means that most people are not able to own a garden and for those with affinities towards gardening, this presents a serious issue. Hence, they look for solutions that replace traditional gardening and provide a sense of accomplishment in this area. That is why DIY gardens are so popular: they do not require much space, are easy to plant and grow, bring results and offer countless peaceful hours spent by them. 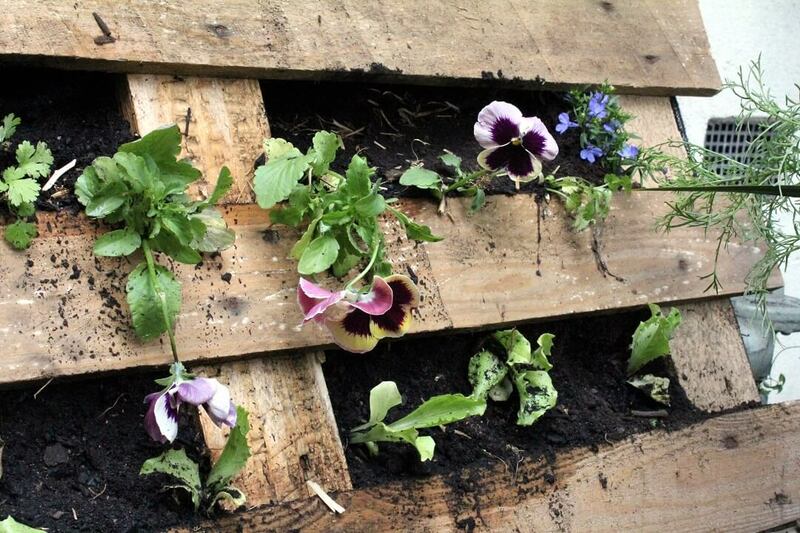 Since wood pallets are among the most popular solutions for gardens, here are a couple of hints on how you can create your own wood pallet garden. Good wood pallets of various sizes and dimensions can be obtained at your local DIY or hardware store, or you can ask people at your neighboring farmers market to spare one or two. Ultimately, they can also be found in supermarkets, usually free of charge. However, do not take just any pallet you find – check condition and quality and inspect whether they are rotted or covered in nails. Additionally, make sure they were not used for transporting hazardous chemicals and other dangerous materials. A list of other equipment and supplies should include potting soil – two large bags will suffice – landscape fabric and the seeds you want to plant. Finally, you need proper gardening and planting tools like a soil knife, scissors, a weeder, a dibber, a trowel, etc. You have to fix the pallet and prepare it for a new use. After a mandatory check for loose nails and pieces of chipped wood, you can start removing the nails and applying sandpaper to the damaged patches of wood until they are completely smooth. Moreover, you can do the paint job as well so your garden will be even more visually appealing and try combining the color of the wood with the color of the flowers and reach interesting combinations. When preparing pallets, it is most important to consider their looks and what kind of plants they can be suitable for. In a recent chat with highly-rated suppliers of packing supplies, I learned that the variety of wood pallets is not limited to size and dimensions only, but also includes shapes and designs. They are produced from several types of timber and are thus appropriate for the widest plethora of plants, but you have to know in advance what you will grow and choose pallets accordingly. Finally, cover the pallet with landscape fabric using a staple gun to ensure it stays in place. Focus on the back, bottom and sides of the pallet and do not be afraid to use extra staplers to keep everything tight. Once your pallet is ready, lay it on the ground and pour potting soil in its openings, but do not forget to make small trenches to insert plants – an optimum number would be six in each trench. They have to be tight in order to stay compact and not fall apart. After you have finished planting, you should check the watering and maintenance schedule of the seeds and follow it closely. 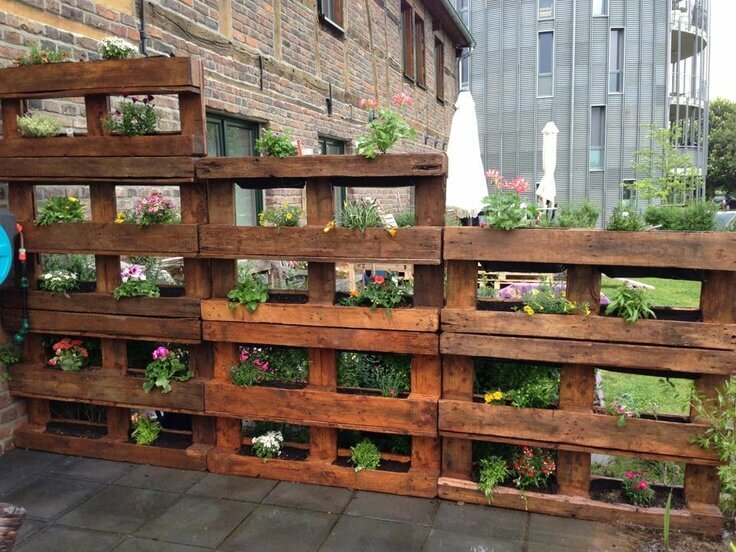 Finally, your garden can remain horizontal or can, after a couple of weeks, be lifted up against a wall, thus forming one of the most enjoyable and creative reuses of old wooden pallets among many available ideas. 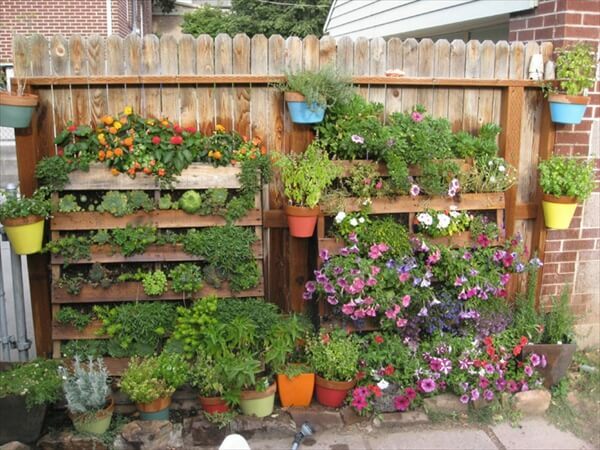 With a wood pallet garden, you will be able to achieve a complete sense of gardening even though you do not own a garden per se. This is quite a pleasant hobby, especially in those warm spring and summer days spent outdoors. Finally, you will produce your own vegetables and herbs, thus achieving a higher level of much-needed sustainability.